January 12, 2012, (Los Angeles, CA) CrushCrush Couture is proud to announce they are providing jewelry for the Golden Globes Gifting suite and nominees, and presenters. It seems the prestigious Golden Globe awards and their board of directors have taken note of CCC’s fashion-meets-philanthropy philosophy, and have invited CCC to be a part of this years awards. Charli is thrilled to be a part of this special event and to meet ad greet Hollywood’s A-list celebrities, all while spreading the word about CCC’s stylish approach to giving back. CCC is also elated to announce that Charli Eaton, Stylist, Designer and Creator of CrushCrush Couture, was recently personally invited to create a special one-of-a-kind necklace for Project Angel Food’s annual Divine Design charity shopping event – in collaboration with Mattel and inspired by their number #1 beauty, Barbie®. Joining the likes of such pop-culture icons as Katie Perry and Nicki Minaj. 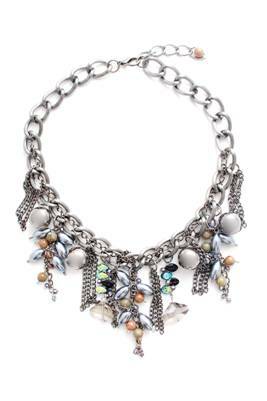 CCC is thrilled to be able to donate this gorgeous of-a-kind necklace to such a worthy ‘cause. CCC was also featured in Huffington Post for the 2011 Christmas Wish List. CrushCrush Couture is passionately dedicated to making a difference by helping those in need. 25% of every jewelry purchase at CCC will be donated to one of several outstanding charitable organizations. Clients will select jewelry, and then choose which non-profit group will receive CCC’s donation. The non-profits range from cancer research to feeding and housing the poor, from environmental protection to animal welfare. With your CrushCrush Couture purchase, you actively participate in their daily efforts to aid those in need, to make dreams come true and to transform lives. For more about CrushCrush Couture please visit: www.crushcrushcouture.com. Categories: Newsflash, Press Coverage, Uncategorized | Permalink. A Holiday Winner: Huffington Post Features Crush Crush Couture! Mixing fashion with philanthropy, we here at Crush Crush Couture knew we were onto a good thing by donating a portion of our proceeds to charity… and it seems the Huffington Post is taking notice too! 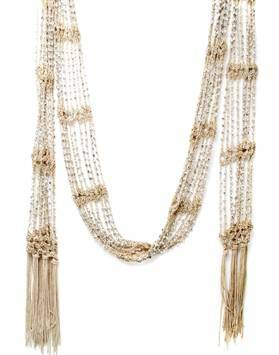 Crush Crush Couture’s Bead Scarf Necklace in Champagne is officially deemed, “HOT…” by Ms. 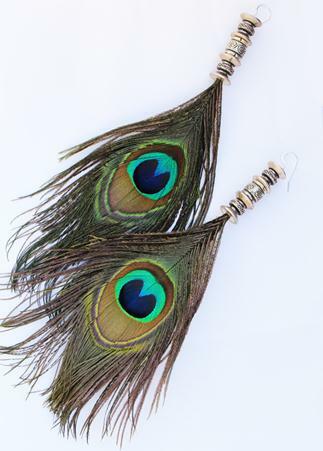 Cachet, and our exotic peacock earrings and of-the-moment dangle bead necklace are sure to warm the cockles of even the pickiest of hearts. Be sure to log onto TheFoundary.com for CCC + The Foundary.com’s “last-minute holiday shopping” collaborative sale where CCC’s stunning holiday bling will be available from Sunday 12/18 – Tuesday 12/20 at the season’s most fabulous prices! From Charli and Crush Crush Couture, Happy Holidays! Categories: Newsflash, Press Coverage | Tags: Christmas Gift, Courtney Cachet, Crush Crush Couture, Huffington Post | Permalink.